Decide what item you would like to give away, a preexisting item or a new item. 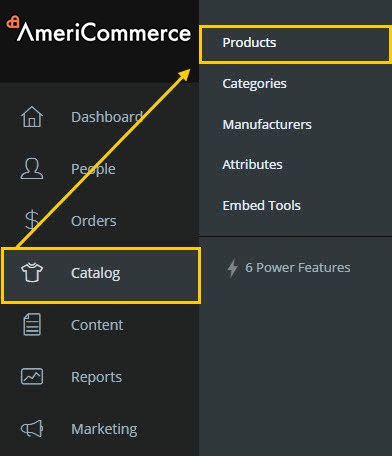 Select Products from the Catalog menu in the Admin Console. Navigate through your product or select New Product to create a new product to give away. If you are using a pre-existing product, you can clone it to set it up to be given away as a free product. Make note of the ItemID #. It will be used in the setup of the Discount Rule. Check Hide (so the customer will not be able "buy" a free item via the store front). In this example, we will be adding this free item to the cart with every order. 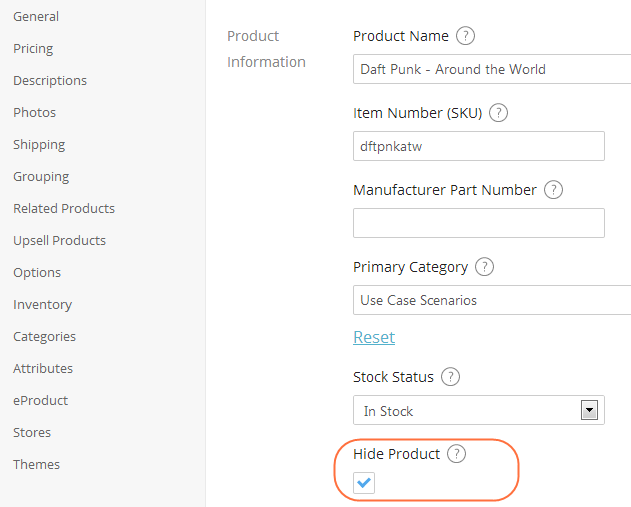 You can setup different combinations of Rules to define when a product should be added to the cart for free. 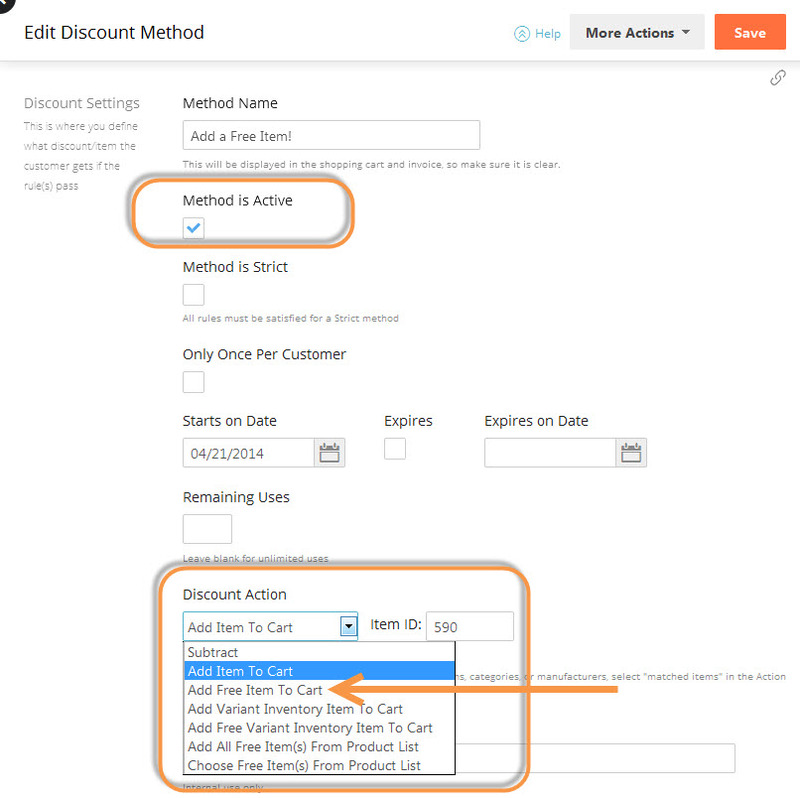 Select Discount Methods, found in the Discounts section of the Marketing menu. Select New to create a new rule from the top, right options. Check the Method is Active box. 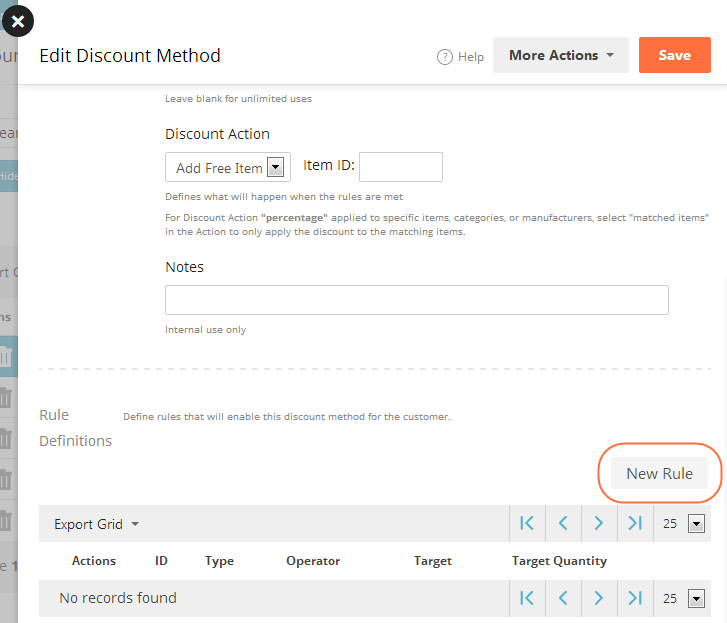 Skip down to the Discount Action (the action that will occur when rules are met) and change the first dropdown to Add Free Item To Cart.You also have other options that can be selected at this point such as Add Free Variant Inventory Item to Cart. Place the ItemId # in the second box. 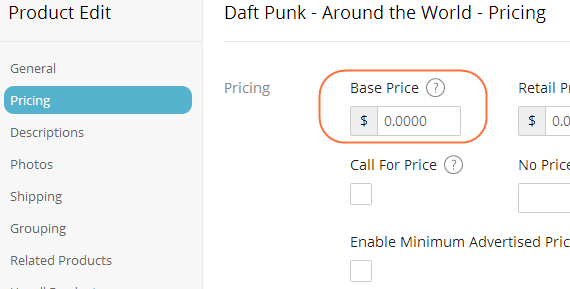 Save the settings, click "New Rule", and the Edit Discount Rule Window will open. 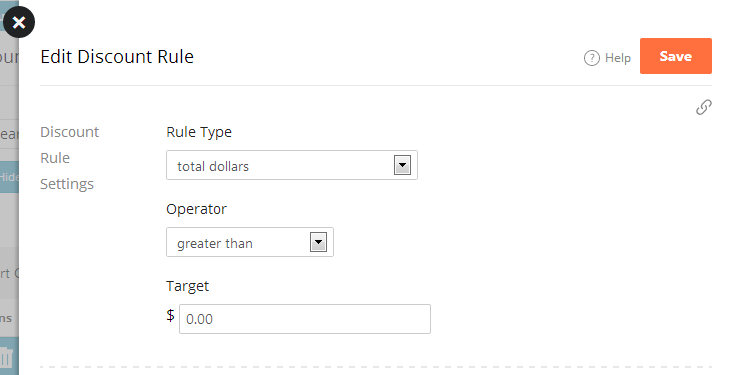 Set the Rule Type to [total dollars] and set the Operator to [greater than], then place a Zero 0.00 in Target. Click Save to add this rule and Save the settings. 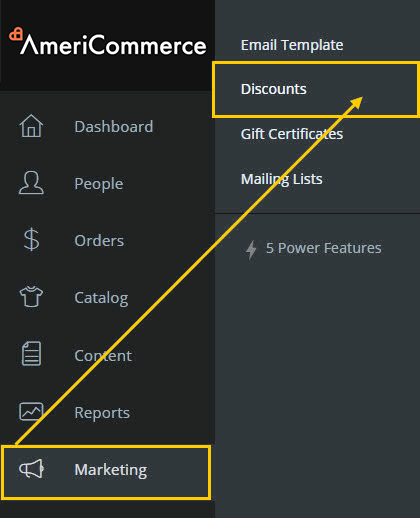 Thanks for the great explanation of how to setup the free item discount rule. 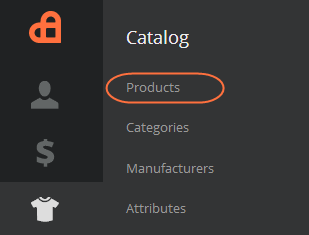 Is there a way to allow the customer to choose which variation of an item they would like as their free item? For example, I sell jam in 9 different flavors. I would like my offer to read something like "For every order of $30 or more, Receive a Free 11oz jar of jam in the flavor of your choice!" Is there a way to actually set this up though? I'd prefer to let the customer choose their flavor instead of limiting them to only one flavor. Yes, would be great! Did you ever get your answer Vicky?